The boys from Pittsburgh (who have a British name, sound, and album title) present their first full-length album. Upbeat rockandroll/power-pop with a bit of a punk edge makes up most of the album, with a few slower tracks as well (including one that has a noticeable country influence to it). They’re fun and seem like the kind of kids you’d want to end up at a wild party with, yeah, why not? 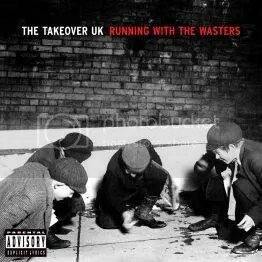 If you like rock music in the vein of The Fratellis, The Kooks, and their peers, you should like The Takeover UK. This entry was posted on March 17, 2009 at 12:00 pm and filed under TheSlacker. You can follow any responses to this entry through the RSS feed.